Security researcher Ruben Santamarta will unveil research this week at a major Las Vegas hacker convention showing that commercial airliner satellite communication systems can be compromised through in-flight WiFi and entertainment systems. As reported by Reuters, Santamarta found vulnerabilities in the firmware of communications equipment used by Cobham, Harris, EchoStar’s Hughes Network System, Iridium Communications and Japan Radio. 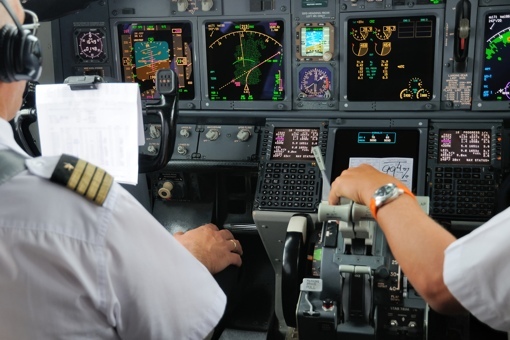 A hacker could potentially steal credentials from one system and use them to access others, disabling communications and interfering with a plane’s navigation. “These devices are wide open,” warns Santamarta. Santamarta’s research has only been tested in a closed lab environment and has not on actual airplanes. Major satellite communications companies have already reviewed Santamarta’s research. Some are taking precautionary measures as a result, though none seem to believe the research is cause for immediate alarm. “We concluded that the risk of compromise is very small,” explains Jim Burke, spokesman for major international satellite communications company Harris. This guy is full of it. pulled by the hair sensationalism. These systems are so separate, it hurts. The only thing they have in common is that they are in the same plane. They guy may as well try to sell you to hack the coffemaker. Just because you hack credentials for the dumb down movie machine and the Wifi Box, doesnt mean they use the same credentials on the nav support, which are all of them autonomous systems. You cannot get in. They are locked up and totally separate systems. I don’t know, what kind of crack this jack is smoking…..But he sure wishes that people fall for his crap and get all excited.